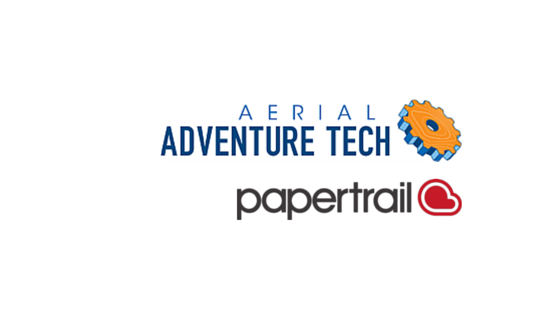 Papertrail is delighted to announce that Aerial Adventure Tech has recently joined our family of global safety partners. Based in the Southern Appalachian Mountain range of North Carolina, Aerial Adventure Tech has a small but dedicated team with over 25 years experience in the adventure industry. We work with partners all over the world, from work at height specialists such as C2 Vertical Training in Sweden, to the Mountain Training Association in the UK, to Arboriculture specialists such as Honey Brothers, and HSE, in the Construction, Oil and Gas and Renewables industry. Papertrail is adding new partners every month: we will be updating this list soon! We are committed to only working with partners that demonstrate the same passion for safety, adventure and training as ourselves. Aerial Adventure Tech lives and breathes the adventure and vertical world. They work with the owners, operators, and managers of adventure parks, climbing gyms, and other aerial challenge structures throughout North America. Aerial Adventure Tech supplies the kit direct to clients and distributors through their brand-new website, selling everything from ropes to belays, harnesses to helmets. Distributors also sell their range of hand-picked products internationally, across Canada, Mexico, Australia and Europe. Papertrail was founded by a team trying to solve the problem of equipment and safety management from the perspective of those working in potentially dangerous situations. This is one reason we are happy to welcome Aerial Adventure Tech to our family of partners: their awesome team has a similar background in the adventure and vertical industry! Not only that, but many of them are safety experts themselves with ACCT and other safety training certificates, along with a love for outdoor sports, from kayaking to skiing. We are looking forward to working more closely with Aerial Adventure Tech to ensure their customers across the US benefit from better safety and equipment management. Thinking about joining our partner programme? Find more details here. We can’t wait to hear from you! Barcode Scanning: Making Inspections Even More Efficient!